If you don't mind never being able to open more than a single book at one time, I have a trick for you. A couple of bloggers over at Gesture Theory noticed that there is a minor flaw in how the Kindle Fire downloads ebooks. If you catch the download in the right spot you can stop it halfway, not pay for it, and then later open the ebook and read it for free. It turns out that there's a quirk in how the Kindle Store works on the Kindle Fire. Amazon is so eager to get the ebook to you that it immediately downloads it right after you click the buy button. But there's also a quirk in the process, and it involves how you can cancel a sale shortly after buying the ebook (and while it is still downloading). The sale is cancelled, and you'd expect the partial downloaded ebook to be deleted, right? Unfortunately for Amazon, the delete command doesn't arrive quite as fast as the cancellation, and therein lies the flaw. If you go to your bookshelf right after cancelling a sale, the bloggers over at Gesture Theory are reporting that you can still open the ebook. 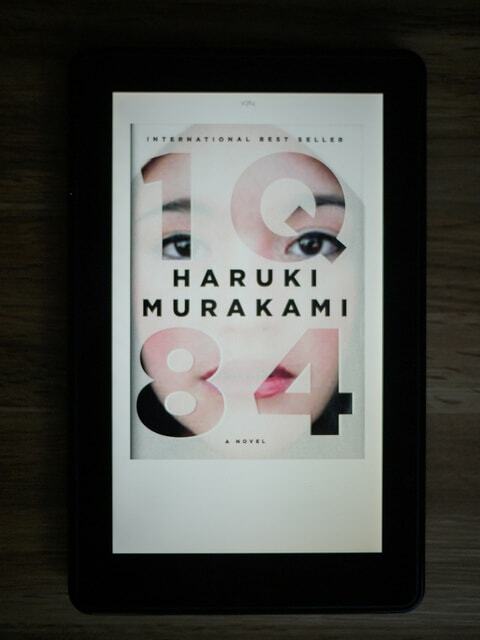 Opening the ebook will then trigger it to download again, and that means you can read the entire book. But they also noticed that this only works as long as that ebook stays open, and that means you cannot read anything else while pulling this trick. It's not much of a trick, is it? So far as I can tell, the flaw occurs because the KF stops the download when you press the cancel button, but the partially downloaded ebook isn't deleted until a delete command is sent from Amazon. This is the kind of flaw that Amazon can fix with the next update, and I think that's a good thing. I much prefer to see people buy books than game the system. There's all sorts of interesting quirks with the KF, isn't there? First there was the hidden reading apps, and now this. I wonder what we'll find next. Doesn’t this make you a crook? Yes, but the usefulness is so small that I don’t think anyone will bother. I just want out of Gutenberg. “That is what caused my problem.